From the early days of cinema (late nineteenth/ early twentieth century) through the 1960s, theories of film tended to divide into the opposing camps of Formalism and Realism. Formalists emphasized the formal properties of cinema that shaped the way films were made, as well as our responses to them. For the formalists, the challenge was to establish film as an independent art form. In virtue of what, they might ask, is a film of Romeo & Juliet any more than a mere recording of a dramatisation of the play? Doesn’t a camera just provide a mechanical recording of reality? They found their answer in film’s formal properties, which enable the filmmaker to alter reality – to create a new world within the dimensions of the cinema screen. Formalist filmmaking reached its peak in the Soviet Montage of the 1920s. Here, Sergei Eistenstein, among others, utilised the formal property of editing to startling effect through the process of intellectual montage. This process is demonstrated in the famous Odessa Staircase scene in Battleship Potemkin (Eisenstein, 1925). In contrast to the Formalists, Realist theorists (like André Bazin) stressed the importance of cinema’s ability to record or capture reality – here, they argued, is where the essence of filmmaking lies. This realist approach was exemplified in the period of filmmaking which has come to be known as Italian Neorealism. Italian Neorealism was a brief but hugely influential film movement, lasting from the end of WWII until 1951. 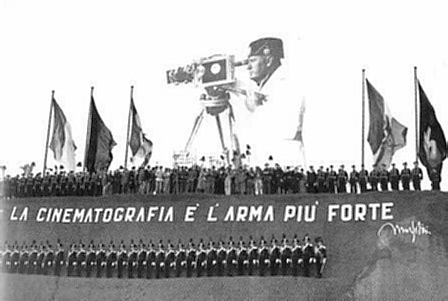 Neorealism originated from the writings, in the magazine Cinema, of a particular circle of film critics who, prevented from writing about politics, rebelled against the prevailing Italian film industry under Mussolini. The main focus of the critics were the telefono bianco films of the period, as well as the influx of Hollywood imports. In contrast to these bourgeois escapist melodramas, critics urged Italian cinema to turn to the verismo literature of the turn of the century and the poetic realism of French cinema of the 1930s, exemplified by the works of Jean Renoir. The result was a selection of Italian films that gained worldwide recognition: Rossellini’s Rome Open City (1945), Paisan (1946), and Germany Year Zero (1947); Visconti’s La Terra Trema (1947); De Sica’s Shoeshine (1946), Bicycle Thieves (1948), and Umberto D (1951). Socio-economic factors were influential in the development of Neorealism and they also led to its downfall – most mark the end of the Neorealist movement with De Sica’s Umberto D (see below), which sparked public controversy on its release. With the new-found positivity of Italy in the early 1950s (and need to seek outside investment) Neorealist films were seen to be too negative – the public preferred the facile optimism of the American movie, while the famous politician, Giulio Andreotti, described Neorealist films as ‘dirty laundry that shouldn’t be washed and hung out to dry in the open’. The major feature of Neorealist filmmaking is a concentration on the lives of ordinary people struggling against adversity in the devastation of the aftermath of WWII. They tend to focus on poor, working class people and their everyday lives, the socio-economic conditions of the time, and the desperation and moral ambiguity which results. However, not only was the subject matter different that what had come before – Neorealism also created a distinctive approach to film style. By 1945, most of Cinecittà, the large Roman studio complex, had been destroyed or was occupied by refugees and so sets were in short supply, as was camera and sound equipment. As such, Neorealist mise-en-scene relied on actual location shooting (mainly outdoors), and its photographic work tended towards the rawness of documentaries. Shooting on the streets and in private buildings made Italian camera operators incredibly adept at cinematography. In addition, the lack of sound equipment (dialogue was dubbed through post-synchronization) allowed for smaller crews and much greater freedom of movement. This more complex mise-en-scene and more adept camerawork (the use of long shots, deep focus, long takes) allows for a multiplicity in the details. As such, the viewer is able to select for themselves what is of importance and to look for their own meaning, rather than having this forced upon them (as with Soviet Montage). These characteristics are clearly evident in the opening scene of De Sica’s 1948 neorealist classic, Bicycle Thieves (below). Another major feature of Neorealism is the use of nonprofessionals, even in leading roles. For the adult ‘star’ of Bicycle Thieves, De Sica chose a factory worker – Lamberto Maggiorani: “The way he moved, the way he sat down, his gestures with those hands of a working man and not of an actor … everything about him was perfect”. Hollywood funding had been available for the film if De Sica had agreed to cast Cary Grant in the lead – thankfully, he refused. 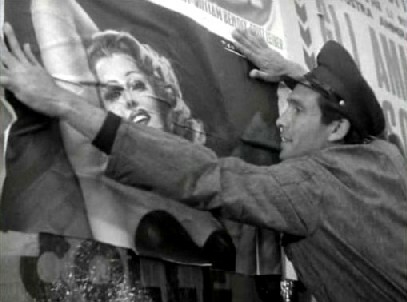 This distinction between Hollywood ‘stars’ and the ‘real people’ used in neorealist films is shown to great effect when Ricci is told to avoid putting creases in a poster of Rita Hayworth – real people, unlike Hollywood stars, have wrinkles. In keeping with the use of ‘real people’, everyday conversational speech, rather than literary dialogue, was used. Children also feature prominently in Neorealist films, perhaps due to the innocent, untainted objectivity they bring to what they see – an objectivity which the Neorealist filmmakers wished to themselves achieve. Perhaps even more influential was the Neorealist sense of narrative form. Reacting against Hollywood and white-telephone conventions, Neorealist films tend to focus on character and the plot seems to evolve organically rather than being strictly dictated – the story comes from the characters and their situation rather than character being determined and limited by a particular storyline. Shots are no longer treated, as in Hollywood (continuity) editing, as units of information – their job being to convey the essential information as quickly and clearly as possible and cut to the next unit. Rather, Neorealist films provide true continuity, and will even will allow events which have no causal import to intrude – these events are casual as opposed to causal (consider Ricci’s son stopping to pee in Bicycle Thieves). Neorealist films also differ from their Hollywood counterparts in terms of their lack of a happy ending or a resolution of any kind – a form of what might be called epistemic ambiguity – evident in the final scene from Bicycle Thieves (have a box of tissues at the ready). This ambiguity (moral as well as epistemic – was Ricci wrong to steal the bike? Was the initial thief?) seems to admit that the totality of reality is just never fully knowable. If Realist films offer us a window on a small portion of the world (slice-of-life) then we cannot ever hope for the omniscience that Hollywood offers us over their creation. In Neorealist film, as in life, sometimes there are no answers. In conclusion, Italian Neorealism provides us with the paradigm example of Realist filmmaking. Its main focus is on the everyday struggles of poor, working class people in difficult socio-political conditions. Stylistically, it employs a well developed mise-en-scene to achieve objective reality, as opposed to the Formalist techniques of montage which emphasise how cinema can manipulate reality. In terms of narrative, Neorealism differs from Hollywood filmmaking – focusing on character, and allowing plot to develop organically. There is often an ambiguity with reference to the outcome of events and no judgments are made as to the morality, or otherwise, of characters and their actions. All of this allows space to the viewer to interpret the scene or film for themselves and come to their own conclusions. Despite being short-lived, Italian Neorealism has had an enormous impact on the development of film which continues to this day. Excellent commentary and insight. I am doing a re-packaging project for the film Bicycle Thieves in my graphic design class at NMU and needed to understand it better to start my mood boards. This was the perfect solution. Many thanks!